A brief look at the history of the Eastern Townships & Knowlton. 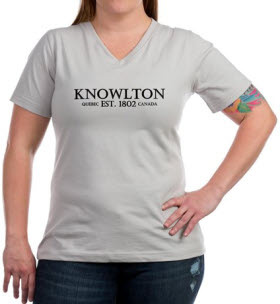 Incorporated as a village in 1888 the town of Knowlton is named after Colonel Paul Holland Knowlton (1787-1863), who grew up in what is now known as the Eastern Townships of Quebec, Canada. Knowlton began farming on the edge of Lake Brome in 1815, where he also set up a store and a distillery. Colonel Knowlton was active in many fields that led to the region’s development: farming, history, journalism, the militia and politics; and from 1830 to 1834, he was the area’s member of parliament for Lower Canada. His esteem was bolstered by his ceaseless lobbying for greater power and representation for the Eastern Townships and was reflected in the area’s place names as early as 1851 when the first post office was named “Knowlton” which became the name of the village itself 25 years after his death. When the first regional highway was built, Colonel Knowlton moved his family to settle by the Coldbrook stream that flows into Lake Brome. 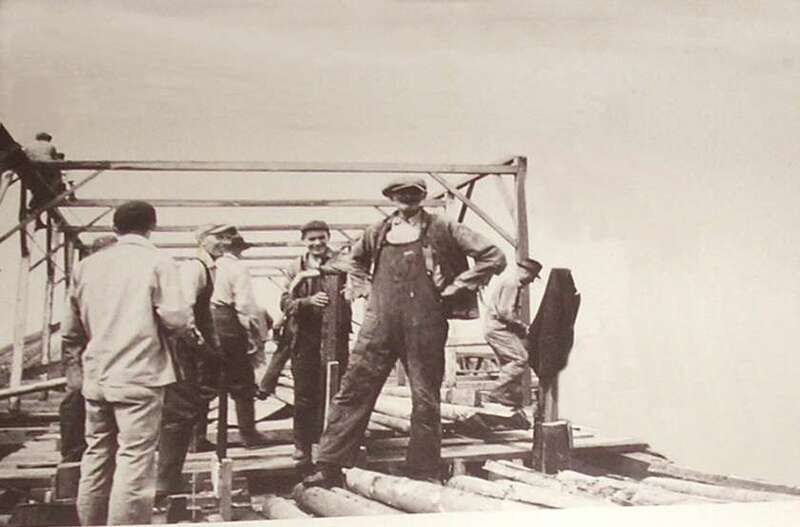 There, this son of United Empire Loyalists built a sawmill, an ironworks, a potassium plant, a store and a grain mill – the industrial hub around which the present town was built. Mill Pond and Coldbrook became highlights of central Knowlton important for both industry and tourism. By 1867, the town had attracted many rich merchants from the Montreal area, who built country homes in and around the town. The town’s recreational vocation soon took off with the development of a network of hotels. The earliest history of Knowlton and the region of Canada now known as the Eastern Townships of Quebec is somewhat of a mystery as the original humans who lived in the region in the years before the English and French conquered and colonized the area did not have the same methods of historical data preservation and often the only available story of the region, indeed much of Quebec, is written from the perspective of the comparatively affluent and self-centered set of European values that the French and English pioneers imported. Some of the first known and recorded peoples who inhabited the region were known as the Abenaki Indians. They are a tribe of Native Americans/First Nations belonging to the Algonquian peoples of northeastern North America. The influence of these peoples on the French and English can be observed by the different names of towns, lakes and rivers in the region many of which are of Abenaki origin. Memphremagog, the large and picturesque lake where Paul Knowlton was raised means “beautiful waters” or “vast expanse of water” in Abenaki. Other names in Quebec that are derived directly from the original Aboriginal peoples of the region that have been molded into French and English variations include Coaticook, Chicoutimi, Lac Manitou, Mascouche, Shawinigan and others. Originally know as Coldbrook, the settlement now known as Knowlton was founded in 1802 by United Empire Loyalists from the New England states and New York. In 1855 the village had become the county seat of Brome County, Quebec. 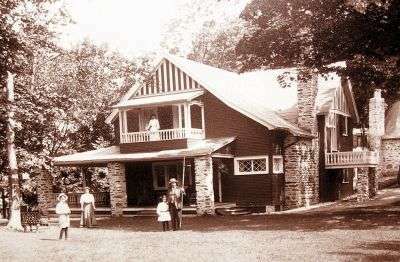 The peaceful setting of the the Cantons de L’est, The Eastern Townships, has a unique Victorian heritage reflected in many of the homes still standing today. The Townships of Brome, Missisquoi and Stanstead lie just north of the states of Vermont, New Hampshire and Maine. English town names like Knowlton, Sutton, Hereford and Hatley underline the fact that this region was first settled by Anglo-Saxon descendants. The Eastern Townships is a large section of southern Quebec bordering on the US border and extending North. The area was opened up for settlement by the British in the early 1790’s. It was when the Americans to the south declared their independence in 1776 that those loyal to the British Crown decided they didn’t want to live under this new republicanism. Many American citizens of various European origin fled north to the area, to the safety of a land that was still under British control. The local colonial government, only too happy to welcome these new, loyal settlers, gave them generous property grants for lands within areas known as townships. Many hundreds of “Loyalists”, as they were called, made their homes in the Eastern Townships. They were followed by waves of Irish Catholics starting around 1820, who first left Northern Ireland when it became part of the United Kingdom, and then again in 1840, due to the Irish potato famine. The region was surveyed and divided what were known as “townships”, an English and American system of land subdivision. This type of land subdivision and tenure distinguished the region from the rest of Quebec, contributing to a unique regional character and strong identity that has progressed to what the town of Knowlton is today. Religion is a strong common bond in the Knowlton area and has been ever since the English and French descended into the region and claimed it for their own. Now, as is typical of the region, the presence of three different churches (one Catholic, one Anglican and one 1875 Victorian-style Methodist) epitomizes the coexistence of different cultures and sympathetic religions. There have been many beautiful residences spread across the village in the last 50 years and Lakeside and Victoria street still maintain some of the most spectacular Victorian housing examples in the area. The history of Knowlton is ripe with Victorian heritage. Many small Canadian towns had a Masonic Hall built and the original Knowlton version on Lakeside Road, which dates back to 1843 and once housed a tannery, is still standing. The scenic little pond drawn from Cold Brook creek decorates the village center and is soon to be restored and improved upon. There are still many tourists who stop on the central village bridge to take photos of the lovely Park in downtown. There are also many historical buildings to visit including what now houses the Knowlton Brome Lake Museum, the former Knowlton Post Office which now serves as our City Hall. As well, a walk in the area reveals some outstanding homes with stunning architecture. Antiques and history combine in beautiful Knowlton, Quebec. 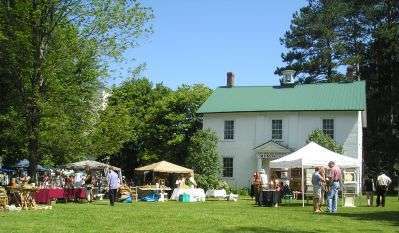 Knowlton today has varied festivals and year-round tourism.Knowlton, now more than ever, is now a progressive town situated in a rapidly growing area. Development in nearby Bromont with the ski areas and year-round recreation facilities is bringing more and more people to the region. Knowlton has a world-class theater group and the area is home to many artists and innovative businesses and is host to many popular festivals including the Brome Fair, the Duck Festival, and the the Environmental Fair. New businesses are moving into the area, Cowansville, Sutton, Mansonville and Waterloo are experiencing rapid growth based upon the satisfaction of residents, environmental records and the potential for a growth. Knowlton has more and more homes and condos being built, many of which highlight the Victorian flavor that infuses the town. This growth is continuing rapidly, bringing more residents to Knowlton and neighboring communities who quickly discover that the charm and character of the area has much to do with the people who already live here.